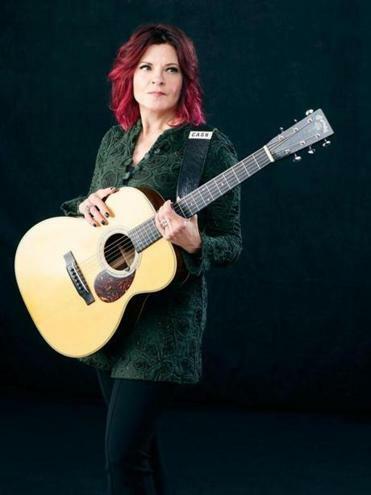 If you think no one writes protest songs anymore, you might want to take a listen to what Rosanne Cash just did. The four-time Grammy winner and longtime activist’s new album, “She Remembers Everything,” manages to speak to the #MeToo era and gun control, while also serving, she says, as one of her most personal albums yet. “There’s nothing outside of myself here,” Cash, 63, says in a recent interview from her New York City home, where she lives with her husband and musical partner, John Leventhal. While all 10 tracks are intensely personal, some serve as stinging social commentaries — at least one unintentionally so. An outspoken advocate for gun control for decades — she wrote a New York Times op-ed last year, “Country Musicians, Stand Up to the NRA” — and known to tweet her mind, Cash says she’s gotten flak from some country fans — including fans of her dad, Johnny Cash. Her hear-me-now album releases just as Cash receives acknowledgment for speaking out: She won the Americana Music Association’s 2018 Spirit of Americana Free Speech Award, given in partnership with the First Amendment Center, in September. She’ll also be accepting the 2018 John Lennon Real Love Award — another honor for her gun control activism — in New York next week. We caught up with Cash — who received an honorary doctorate degree from Boston’s Berklee College of Music earlier this year — ahead of her show at Beverly’s Cabot theater Nov. 29. Q. I’ve been listening to your new album, “She Remembers Everything,” which is so powerful. What sparked it? It feels like it’s been living inside you for a while. A. I think that’s a fair thing [to say]. I think the themes in a lot of these songs have been building up in me for a while, some with more urgency than others. And even the ones that were commissioned, as it were — “The Only Thing Worth Fighting For,” and “My Least Favorite Life,” which T Bone Burnett asked me to write for “True Detective” — even those, I didn’t go outside myself. They were all part of the landscape. Q. “Everyone But Me” is such a heartbreaker. A. I think that’s the only time John and I have actually cried together in the studio. It was really powerful to us, too. Oddly, that did not start out to be a song. I was writing those lyrics for myself. I thought: Well, this is just for me. I’m not going to sing these words. It was just, you know, the settling of matters in myself, and rage and heartbreak. Then John and I were recording, and [he] kind of went, “What else you got?” I was scrolling through lyrics on my phone, and I said, “I got this, but I don’t know about this.” And he said, “No, no, no, let me have that.” And he wrote this hymn-like melody to it and it was heartbreaking. And I didn’t change anything. I didn’t try to smooth edges. It’s pretty raw. Q. You sang on Mark Erelli’s [“By Degrees,” about gun violence]. He’s local to this area. A. Mark and I met on Twitter. It was something about gun violence. And he [tweeted at me]: I wrote this song, can you listen to it? And I usually just ignore those tweets. He seemed like a nice guy; I looked at his profile, and I thought: Oh, I’ll listen to it. And I was so moved by this song. I was about to perform at the Brady Campaign Gala, and I told them it would be really great if he could come sing it. Then we ended up singing it together. Then he wanted to record it and give it to Gabby Giffords for her site [all song proceeds go to Giffords: Courage to Fight Gun Violence]. I helped him get Sheryl Crow to sing on it, and he got [Josh Ritter, Lori McKenna, and Anais Mitchell]. It’s just heartbreaking, isn’t it? Q. You just got the Spirit of Americana Free Speech Award. Your dad got the first one. Did you feel him, proud of you, at that moment? A. Yeah. That was very moving. And, you know, I got the award on the anniversary of his death, too. A. It was given in partnership with the First Amendment Center in Nashville, and [journalist] John Seigenthaler Sr. was one of the founders of that center, and had gone to Selma and had written about the civil rights movement, and not only that, had been knocked unconscious during one of the marches. He and my dad were friends. So it was even doubly meaningful to get something in partnership from them — Seigenthaler and my dad. It was just very moving. Q. You’ll be getting another award, too, with the John Lennon Real Love Award. What does that feel like, coming so close? A. Well, I guess I’m in the award season of my life. [Laughs] Like they go, “Oh, she’s been around a really long time, who knows how much longer, we better start giving her some badges.” No, as Beatles fan from day one, an intensely fanatic Beatles fan, it’s so meaningful. I love it. I’m thrilled. Q. Was Lennon someone who influenced you as a kid? A. Oh yeah. Even now, I still sometimes think: What would John do? Q. Who were other influences that shaped you as a kid? A. Someone who turned 75 the day before yesterday. A. Joni Mitchell’s “Blue” was the first time I realized a woman could be a songwriter. And that was life-changing. I just always assumed these songs came from men. And then “Blue.” I went, Oh my God. Not only can a woman be a songwriter, but she can write about her inner life and have it be legitimate art.